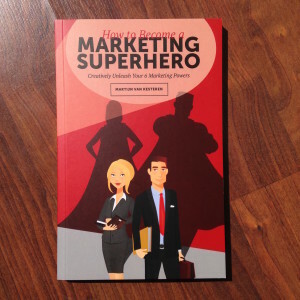 The book “How to Become a Marketing Superhero is available in stores now! ENG: A hero is an ordinary person doing extraordinary things. And since today’s world all revolves around marketing, this world can use some more Marketing Superheroes! Martijn van Kesteren helps marketers and business owners unleash their marketing powers to get more impact through their brand, product or service. Through facilitating strategic workshops and creative brainstorms, on stage as motivational speaker at Speakers Academy and with his book “How to Become a Marketing Superhero”. NL: Een held is een gewoon persoon die buitengewone dingen doet. En daar tegenwoordig de hele wereld draait om marketing — een goed product of dienst verkoopt zich niet zomaar vanzelf — kan onze wereld wel wat meer Marketing Superhelden gebruiken. Martijn van Kesteren helpt marketeers en ondernemers hun marketing superkrachten te benutten om meer impact te maken met hun merk in hun markt. Middels het faciliteren van strategische workshops of creatieve brainstorms, als spreker aangesloten bij Speakers Academy en met zijn boek “How to Become a Marketing Superhero”. ENG: I respect your privacy and hate spam too! Beware that your confirmation email could land in your promotional inbox. NL: Ik respecteer je privacy en hou zelf ook niet van spam. Let op! Je bevestigingsmail kan mogelijk in je promotionele inbox terecht komen. ENG: Martijn van Kesteren is a motivational speaker and facilitator for strategy workshops and creative brainstorm sessions. He is the founder of withMartijn Creative Consultancy, and helps marketers and business owners get more impact through their brand, product, or service. After attaining his degree in Innovation Management from Delft University of Technology, he worked in creative marketing and market research within Sara Lee/ Douwe Egberts and Unilever for 14 years before starting his own company in 2014. Martijn has contributed to the success of renowned brands like Ambi-Pur, Ben & Jerry’s, Calvin Klein, Fairtrade Original, Lipton, Magnum, Rijksmuseum, Tommy Hilfiger, Unox, and Zwitsal. Martijn has a true passion for personal development, and believes everybody should strive to bring out the best version of themselves. In his recently launched book “How to Become a Marketing Superhero”, he shares practical tips and advice based on his experience with becoming a Marketing Superhero. Martijn is 42 and lives in Elst Ut, the Netherlands. 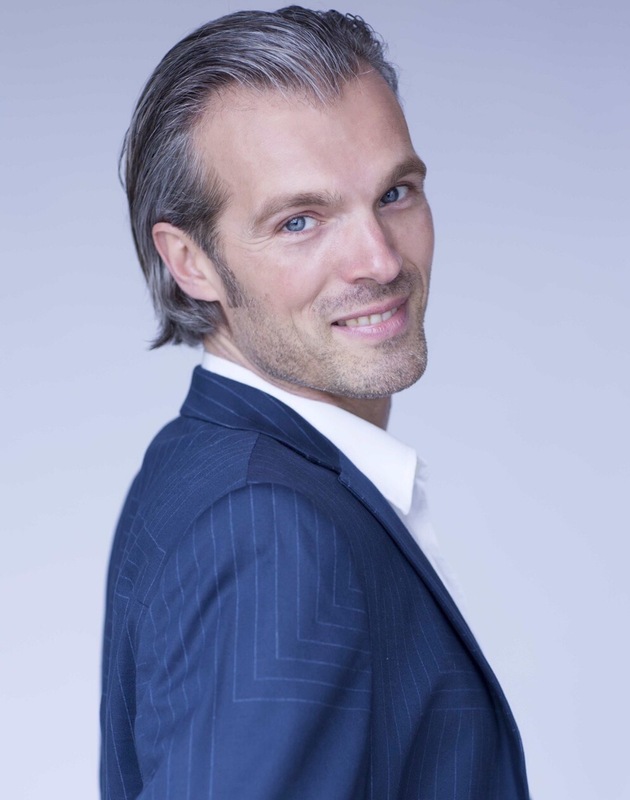 NL: Martijn van Kesteren is motivational speaker en ondernemer. Met zijn creative consultancy bureau helpt hij marketing managers en ondernemers met het maken van hun plannen om nog meer impact te maken met hun merk in hun markt, middels het begeleiden van strategie workshops en faciliteren van creatieve brainstorm sessies. Na zijn afstuderen in Innovatie Management aan de Technische Universiteit Delft, werkte hij 14 jaar in diverse marketing en markt onderzoek functies bij Sara Lee/Douwe Egberts en Unilever voordat hij in 2014 zijn eigen marketing adviesbureau is gestart. Martijn heeft bijgedragen aan het succes van onder meer de volgende bekende merken: Ambi-Pur, Ben & Jerry’s, Calvin Klein, Fairtrade Original, Lipton, Magnum, Rijksmuseum, Tommy Hilfiger, Unox en Zwitsal. Martijn heeft een passie voor persoonlijke ontwikkeling en is ervan overtuigd dat iedereen ernaar dient te streven om de beste versie van zichzelf te worden. In zijn recente boek “How to Becaome a Marketing Superhero” geeft hij praktische tips en advies gebaseerd op zijn ervaring om een Marketing Superheld te worden. Martijn is 42 en woont in Elst Ut. Martijn has facilitated a number of workshops on innovation, new product development and concept writing for the marketing team of Fair Trade Original. It is great to work with Martijn: he is always enthusiastic, knows how to motivate and inspire other people. Broad experience and deep knowledge in the area of marketing & innovation. 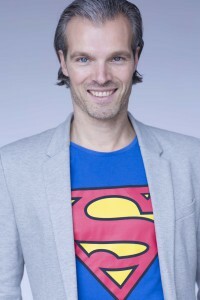 I would recommend Martijn to anyone that is looking for a ‘Marketing Superhero’! Martijn is an inspiring and fun personality, with a deep knowledge of branding and marketing, able to translate a strong consumer-driven approach into commercial cases. He is pro-active, service minded and takes ownership – and he knows how to make the connection between creativity and feasibility. Martijn definitely made a difference, sharing his passion and experience, elevating the full team. Martijn is one of the most remarkable people I have ever met. He is highly action oriented and passionate about finding creative solutions to any challenge. He is pleasantly energetic and his enthusiasm is truly contagious. It is a delight to work with him. Martijn is not just ‘any other’ facilitator. In an inspiring way, he leads the group through the process. With a lot of fun and great output as a result! We marketing professionals cope with the challenge of keeping up in today’s ever faster moving world. The rules of the game are being changed continuously in an expanding – often global – playing field. The volatile consumer is hard to reach and even harder to keep engaged. Change is the only continuum; adaptation is key. We need bigger, better and faster solutions. withMartijn Creative Consultancy can support this. How is best described in the model below. 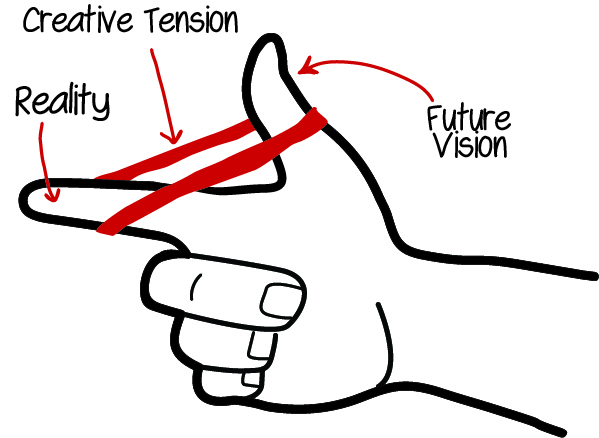 The Creative Tension model illustrates the stretch between the current reality and the desired vision of the future. Not enough tension results in little or no improvements; the rubber band slips right off our fingers. Too much stretching results in stress and – for individuals – a potential burn-out. In other words: the rubber band snaps under too much tension. withMartijn Creative Consultancy helps to find the right balance, by having businesses and individuals formulate and reach their goals in a stretching – but not overly tensed – way. With 14 years of FMCG Marketing experience, Martijn van Kesteren has worked on projects in every phase of the innovation funnel. From formulating actionable consumer insights, generating new, creative ideas and writing compelling concepts to product and communication development, channel selection and (post) market launch. What are the benefits of working withMartijn Creative Consultancy? We live in a world in which change seems to be the only constant factor. Information is just one click away. New technologies, tools, and techniques are being developed as we speak. As a business owner or marketer, it’s hard to keep up! It’s no wonder that you might feel overwhelmed. It seems that nowadays, you almost need to have superpowers in order to survive. A Marketing Superhero is an ordinary person who does extraordinary things. And since in today’s world, great products or services don’t sell by themselves—everything revolves around marketing—the world needs more Marketing Superheroes. That means you! Whether you’re a marketing employee in an organization, working for an agency, or running your own business, this is your chance to shine. This practical, to-the-point book offers simple advice and effective tools to help you become the best version of yourself, both as marketing professional and as a person. After all, you are your own most important resource for making a change in the world. And if you strive for “average”, that’s all you’re ever going to be! Available on managementboek.nl, bol.com and amazon.com. Supercharge your marketing skills — This book will inspire you to become more creative, effective and impactful with what you do. With very practical advice on how to organize yourself for success. It really energizes you into action. The 6 marketing superpowers are a must know secret power for all aspiring marketers. Thought provoking & Inspiring — “How to Become a Marketing Superhero” is a must read for every entrepreneur and marketing professional. This practical book offers helpful tips. I have learnt a number of things I could immediately apply in my daily work. And I noticed instantly the added value to my creative process. As Creative Consultant, I regularly facilitate brainstorm sessions and strategic workshops, to support marketers with making their plans and putting them into action. Please contact me for more information. As Motivational Speakers, I’m a proud faculty member of Speakers Academy. Please contact Speakers Academy to get more information on my Marketing Superhero lectures. Martijn presented the principles of his book “How to Become a Marketing Superhero – Creatively Unleash Your 6 Marketing Powers!” at the Unilever European Headquarters in Rotterdam on the 17th of March 2016. During a half-hour presentation and Q&A session, he presented the Marketing Powers established in the book in a refreshing and fun way. There was a lot of possibility for the audience to interact and ask questions. Martijn is an energetic presenter who is great in engaging with the whole group. The content included a lot of good tips and tricks for Marketers and the insights are also easy to understand and applicable for a non-Marketing Audience. We thank Martijn for his appearance and wish him all the best for future engagements. We wanted to be inspired about how to have more impact in the organization. And we needed practical tools and guidance to get it done. Then who to call? Martijn! In only a one-hour session he sparked creativity and empowered people to change their ways. His story, practical approach, enthusiasm and passion have made a lasting impact in our team. Read my blog to get your dose of actionable inspiration. Please share your opinions and ideas in the comment sections. Be sure to sign up for my newsletter to keep up to date on my latest ideas and developments. Posted by withMartijn | January 4 | Comments Off on Time to cut the crap! I respect your privacy and hate spam too! Beware that your confirmation email could land in your promotional inbox.